Our 3' X 5' (36 X 60 inches) flag is made of 100% polyester that is strong and durable. Great for both outdoor and indoor use and comes with nylon header and 2 brass grommets for secure hanging. Show your country's pride in a huge way. 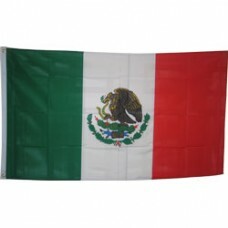 Represent your country with this bigger than life Flag.